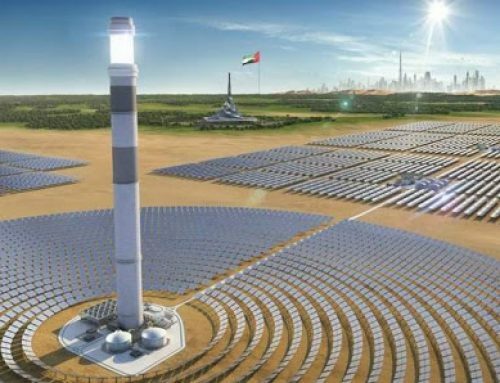 ACWA Power awarded 700 MW CSP fourth phase of the Mohammed Bin Rashid Al Maktoum Solar Park at a levelised tariff of US $7.30 cents per kilowatt hour; a cost level that competes with fossil fuel generated electricity without subsidy for reliable and dispatchable solar energy through the night. 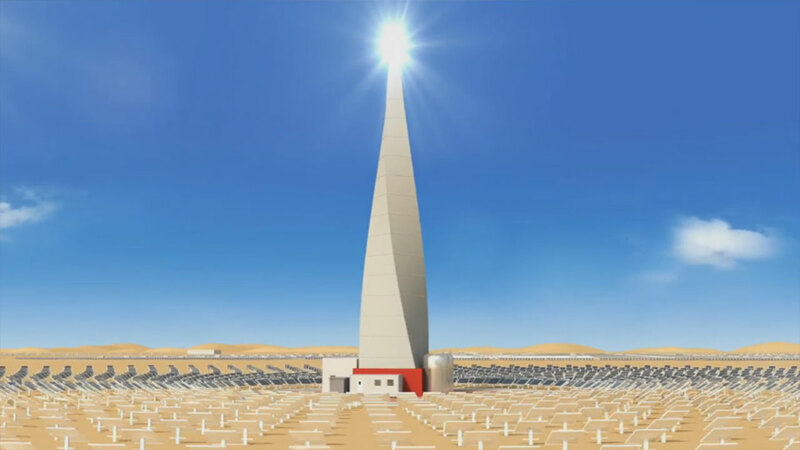 By far the largest single-site thermo-solar power plant in the world the plant uses a state-of-the-art combination of a central tower and parabolic trough concentrated solar power (CSP) technologies to collect energy from the sun, which can be used to generate entirely renewable energy based electricity not just during the day while the sun is shining but throughout the night just as a gas, oil or coal fired power plant does. 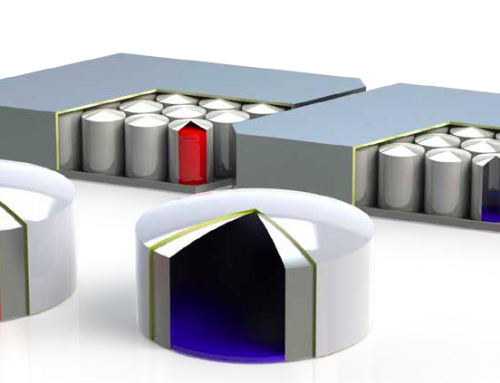 The levelised tariff, the size of the plant and the dispatch methodologies places the CSP technology, with no carbon or other polluting particulate emissions, in direct tariff competition with fossil fuel power generation for the first time providing enormous benefits to the people and the planet. The plant will support the Dubai Clean Energy strategy 2050 to increase the share of clean energy at Dubai to 25% by 2030. 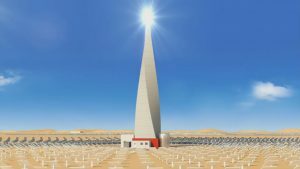 An ACWA Power led consortium has been awarded the fourth phase of the Mohammed Bin Rashid Al Maktoum Solar Park, by far the largest single-site CSP plant in the world, which will provide reliable and dispatachable electricity to the emirate during the day and throughout the night just as a fossil fuel power plant does. With a capacity of 700 MW, the project has set a new global record for the lowest levelised cost for renewable base load electricity at USD 7.3 cents per kilowatt hour in an IPP tender without the benefit of any subsidy including any carbon credit. 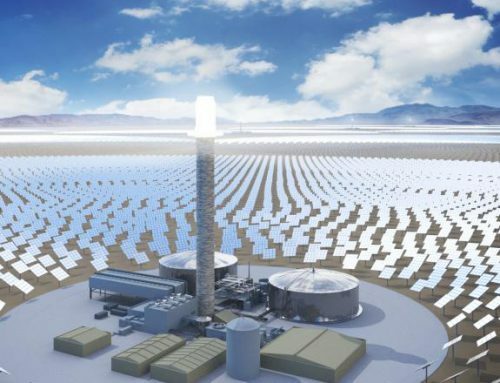 This plant which will be commissioned in stages with the first phase set for end of Q4 2020 will cover 3,750 hectares, the equivalent of more than 4,500 football fields mostly covered with mirrors concentrating the sunrays, and will feature a combination of a tower and a field of troughs, which will all collect heat and store that heat in molten salt medium to supply electricity on demand at all hours of the day and night, even when the sun is not shining..
Al Sharhan also noted that “the new project represents an added economic value for the two sister countries, Saudi Arabia and the United Arab Emirates. 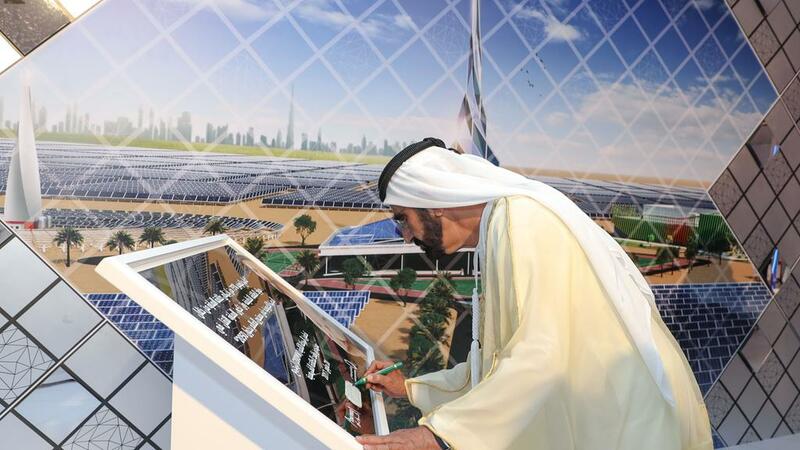 Also, it is in line with the Saudi vision 2030, which seeks to maximize the Saudi investment base outside the Kingdom and in line with Sheikh Mohammed’s vision to transform Dubai into a global hub for clean energy and green economy through Dubai Clean Energy Strategy 2050. The power purchase agreement and the preparation to achieve financial close are already at an advanced stage to enable construction to commence in 2018. 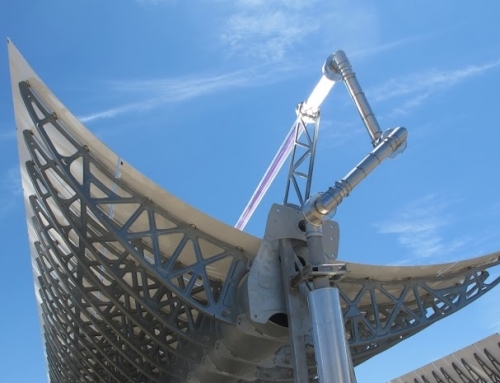 This renewable energy plant allows a saving of 2.4 Million tons of CO2 and will provide electricity to an equivalent of 568,000 households – an urban conurbation of the size of the size of Houston, Texas in the United States of America. 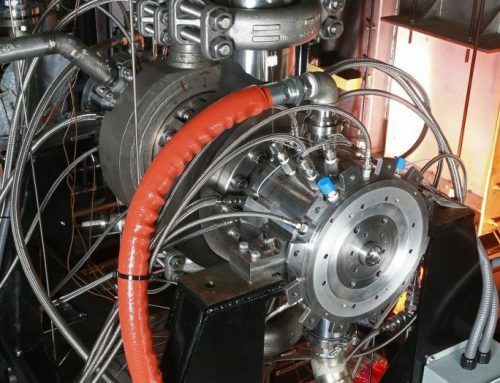 It will also save half a million tons of natural gas per year and eliminate the need to import this gas paying foreign currency by substituting with clean and renewable energy based only on free available sun light as an input thus not only contributing to UAE’s commitments to the world in limiting carbon emissions but also in benefiting the economy through import substitution.